TNR called Elizabeth Warren supporters a cult, and they responded—like a cult. For the record, the word “cult” appears nowhere in my article; it’s only in the headline, which I did not write. For that, you can blame my editors. But, if referring to fans of Elizabeth Warren as a cult may not have been my first choice when I wrote the piece, after a weekend of receiving scores of nasty e-mails, I’m no longer certain that the term is such an ill-fitting description. To begin, cults often connote blind followers, and it seems that many of my critics were blindly following one group’s instructions. Through one of my interviewees (who happened to like the article), I learned that I had fallen prey to the Coffee Party Movement, a grassroots answer to the Tea Party that is supposed to, ironically enough, encourage “civility.” The group has been active in the campaign to support Elizabeth Warren and thus did not take kindly to my headline. An administrator on the “Join the Coffee Party Movement” Facebook page posted my email address, encouraging Warren supporters to tell me they “should not be referred to as a ‘cult.’” This instruction quickly received more than 1,000 “likes” and more than 200 comments. (Three hours later, the page issued an apology post, after several commenters noted the article wasn’t negative at all.) But the damage was already done, and today, my hate mail clocks in at almost 200 and counting. 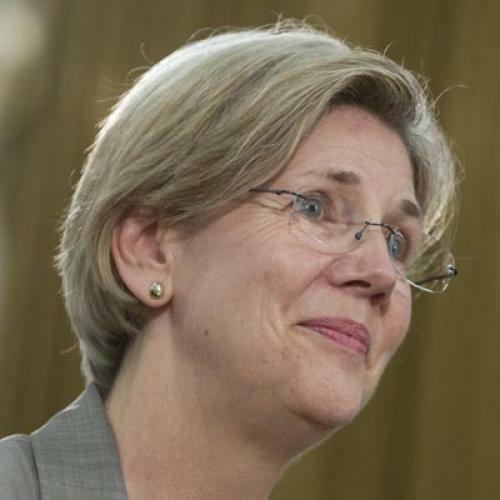 Of course, it’s not necessarily a bad thing that Warren has a stable of loyal followers ready to leap to her defense. A cult can also simply connote “devotion to a person,” according to Merriam-Webster, and these Warren fans are certainly avid. In some ways, their outpouring of emails represented a form of grassroots democracy in action that I, along with many here at TNR, find heartening. And it’s a great compliment for any journalist when one’s article sparks a discussion. But as for those nasty e-mails, that’s a different story. How should we describe a phenomenon where numerous individuals act in unison, apparently following a set of instructions without getting all the facts? That behavior just seems, well, cultish.